Avenue Willy Brandt - 59777 Euralille - France - Phone: +33 (0)3 20 21 59 62. Publishing director: Jean-Philippe Courtois (SKEMA 1983) chairman of the Board of Directors of SKEMA and president, Global Sales, Marketing and Operations Department of Microsoft. The site is optimised to be displayed with a graphic resolution of 1024 x 768, with the latest generation of browsers. Some content requires the use of Adobe Acrobat ReaderTM that can be downloaded. The website has been designed and made by SPIE Infoservices (www.spie-ics.com) jointly with SKEMA. Graphics have been designed by Agence Wacan (http://www.wacan.com/). The current site is a work whose author is SKEMA according to the article L.111.1 and following articles of the French Intellectual Property body of law. The photographs, written content, mottos, drawings, pictures, motion pictures as well as all works integrated in this website are the property of SKEMA or the third party that allowed SKEMA to use them. Reproductions, on paper or electronically, and all the works of the website is authorised on condition that it is reserved strictly for personal use precluding advertising and/or commercial and/or information purposes complies with article L 122-5 of the French Intellectual Property body of law. With the exception of the above provisions, all reproductions, representations, uses or modifications by any means whatsoever and on any support whatsoever of all or part of this site, of all or part of the different works making it up, without having obtained the prior authorisation of SKEMA, are strictly forbidden and constitute an offense of infringement of copyright. The data displayed on this website are for your information only, neither its content nor its accuracy can be guaranteed. The displayed information does not bind SKEMA. SKEMA declines all responsibility for any decision taken on behalf of this information. The content of the website is subject to change at any time without notice. Information concerning you will be sent to SKEMA. You have the right to access, modify, rectify and delete any data concerning you. To exercise that right, please contact: directioncommunication@skema.edu. SKEMA can in no way be held liable for direct or indirect damage caused by the use of this website, or the inability of a third party to use it, or a malfunction or interruption or virus resulting from access to or use of this site. 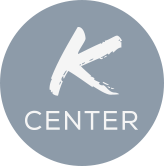 All brands cited or used on the website http://kcenter.skema.edu are the property of their respective owners.